Bus transfers: Either in Brandenburg, within the Land or in other bordering cities, the bus rental companies in Brandenburg, in partnership with Germany Bus, are at your disposal at any time and for any service. It is therefore possible to rent a bus or minibus with driver for a transfer between Brandenburg and Berlin. You can also book for a transfer to Dresden, Warsaw, or any other location in Brandenburg, in Germany or in Europe. Sightseeing tours: Germany Bus permits you to book comfortable buses and minibuses with driver for guided tours in Brandenburg. Whether you need a bus for a city tour or for a countryside tour, we provide you with the most suitable bus for your different trips. If need be, you can resort to a competent tourist guides from Brandenburg. Excursions by bus: For excursions from Brandenburg to the Lands and bordering cities, you can rent appropriate coaches with a local driver to Germany Bus at any time. Whatever the destination or the length - a half-day or a full day - of your excursion, our companies' drivers will gladly lead you anywhere you want. Our teams eagerly await for your questions! Besides, we can undertake the hiring of a guide in addition to the renting of a bus, order menus for groups, or book tickets for any kind of event. Travels by bus: If you plan to go on a longer-than-a-day trip, our team can rent vehicles in, from or to Brandenburg too. Thus, we make available buses to any destination in Germany, Poland, Italy, and Austria. In the event that you want to go to Spain, Norway or Turkey, we can also estimate the price of your trip from Brandenburg. Therefore, we would like to inform you that apart from this, Germany Bus, in partnership with the tour operator City Tours, can also arrange and fix up your trips departing from Brandenburg. Busvermietung Brandenburg: the coach hire platform Busvermietung Brandenburg and its team are offering full information on the coach hire with driver within Brandenburg. Whether you want to book a bus with driver in Potsdam to visit Sanssouci, want to make a reservation for transfers to or within Cottbus, Frankfurt an der Oder, Oranienburg, Eberswalde, Brandenburg an der Havel or any other kind of bus rental service - we are quite sure you will find a competent bus rental agency by using this contact. Busverleih Potsdam: Hire modern buses, comfortable coaches, reliable minivans and friendly drivers for your bus rental service in Potsdam. The bus charter company is able to give good offers for bus rental with driver within Potsdam, whole Brandenburg, Berlin and other German areas. 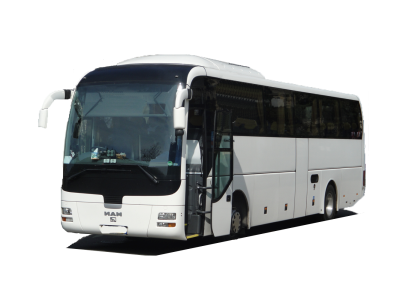 Be it for local transfers or multi-day LDC bus rental, you can request a quote at anytime. Busvermietung Cottbus: Get your personal bus quote and price offer for coach rental with driver in Cottbus. The company has established a well-connected symposium of local coach hire companies. With joint efforts, the team can offer you bus hire services within Cottbus, but also to other cities within Brandenburg, and even Germany or Poland. Busvermietung Frankfurt: Are you looking for bus rental services in Frankfurt an der Oder and surroundings? Do you need to hire a motorcoach for bus transfers, sightseeing bus tours or a longer bus trip with driver? The company can offer all of these bus rental services easily, not only in the city of Frankfurt (Oder) but also in other parts of Brandenburg. Shall you be interested in getting a quote for bus hire with driver to Berlin, Frankfurt am Main or Erfurt, the team is happy to help you there, too. Busvermietung Oranienburg: Here you get quick, reliable and professional bus rental offers for coaches and minibuses with driver. Due to the close cooperation between local bus companies in Oranienburg and established bus rental agencies in Brandenburg, the team of Busvermietung Oranienburg can propose bus hire services in the whole region and even to neighbouring countries like Poland or Czech Republic. Busvermietung Eberswalde: Busvermietung Eberswalde and its competent drivers and modern buses are at your full service for airport transfers, bus sightseeing trips in Eberswalde and day excursions to surrounding Brandenburg. Upon request, you can also hire a coach with driver for long distance journeys to other parts of Germany, to Poznan, Wroclaw or Warszawa. Busvermittlung Brandenburg: this coach rental website introduces you to the different coach hire options in Brandenburg an der Havel. Different bus sizes are offered, from limousines with drivers, to minibuses and even grand tourism coaches with driver. Within your local bus you can enjoy a bus sightseeing tour, a transfer within the city or a bus excursion to different cities or regions starting or ending in Brandenburg an der Havel.
. Please send us your request and we will gladly draw up the best personalized offer in the shortest time possible, taking into account any of your indication. An estimate will then be forwarded to you. Transfers, visits, excursions or trips in Brandenburg, we are ready to satisfy your wishes!